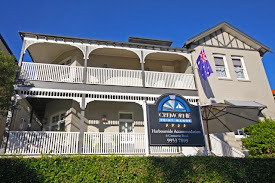 Cremorne Point Manor: Are you having a laugh? Sydney Is! If you’re heading to Sydney or an Aussie local, then you’re in for a belly of laughs. The Sydney Comedy Festival has already started and is running to 17th May. Since the humour has accelerated to over 111,000 attendees since launch in 2005, the Festival takes place all over the inner city at various theatres. Bringing the wittiest from all over Australia, the Festival features a series of sub events throughout the duration including the Cracker Night, International Showcase, Gala and previous years included the Mother of All Galas. At the close of the festival, the ‘Best Of’ Awards are given including Best Newcomer, Breakout Artist, Director’s Choice and Best of the Fest. With a solid 10 years under its belt, Julia Morris will be the host(ess) and the Birthday Gala takes place on the 12th May. From solid acts such as Lou Sanz and Rhys Nicholson, this year’s Fresh Acts will make you roar, from Alex Wasiel to Amos Gill, Justine Rogers and Mug & Kettle. With rapid growth of places to be entertained, some of the venues include the Enmore Theatre, Factory Theatre and obviously, the Comedy Store. You can check the website for locations and details of each theater including the famous Opera House, a short ferry ride from one of the most affordable hotels in Sydney. While you’re checking out the hotel, take a look at our new tour video on the home page! The Showcase events are quite outstanding and if you’re at Cremorne Point Manor, and want to be amused locally on the 14th May, the Hayden Oprheum will be showcasing the funniest and brightest new acts. Just a 30 minute walk or 6 minute car drive from the Manor, you can trundle off to have a few laughs and then return to the hotel and watch the Sydney skyline as the sun takes the night off and the evening burst into full swing.